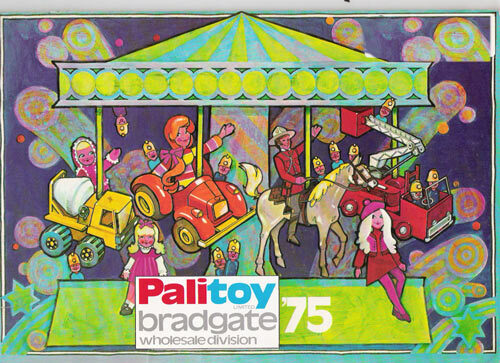 In 1975, Palitoy Bradgate one of Mego's distributors in the UK, began their relationship with Mego through two product lines.While Mego would work with many UK distibutors such as Denys Fisher , Marx Toys, Pedigree and Burbank Toys, Palitoy would remain the most memorable for their unique handling of Mego's core product lines, the 8" action figures. Palitoy began with two wildly popular licensed lines Star Trek and Planet of the Apes, both ratings winners in the UK. It is curious as to why the World's Greatest Superheroes were not introduced, perhaps they were with a smaller distributor at the time. In the following year Palitoy Bradgate would expand it's relationship with Mego to not only carry the Superheroes but to create completely distinct products and characters for the UK market.